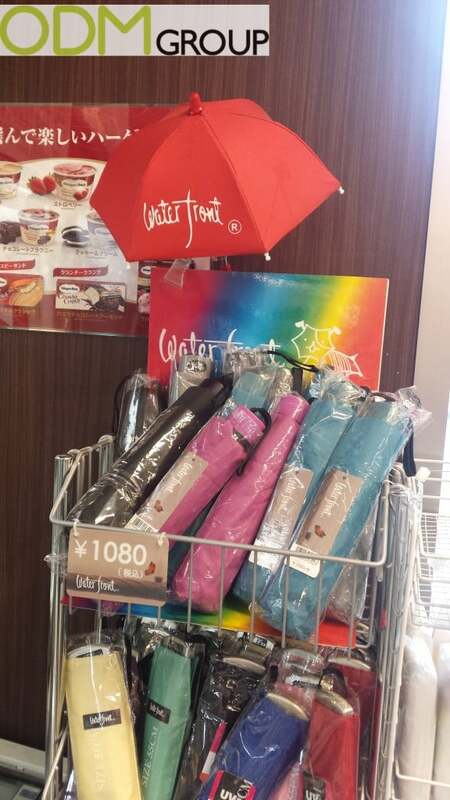 Japan’s most popular souvenir is the umbrella, and Waterfront is one of the most famous brands. Japanese culture is renowned for it’s history with the umbrella, and in modern Japanese society it is still extremely well used. 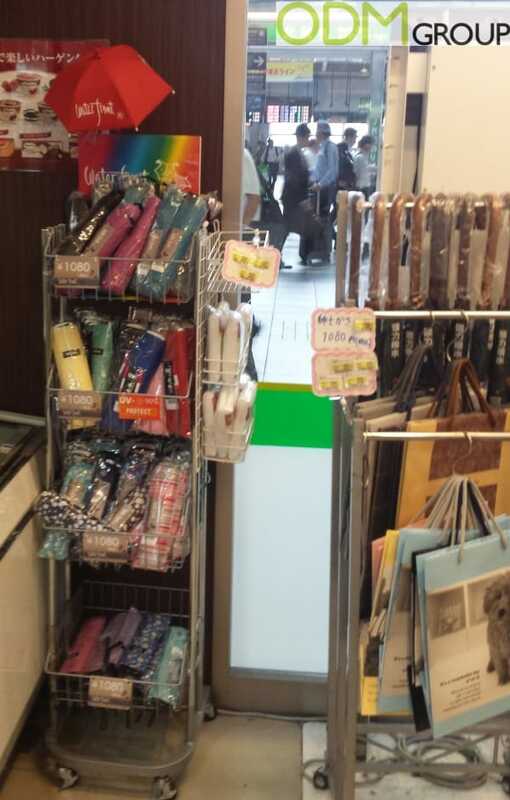 This interesting POS display from Waterfront umbrellas can be found in the vibrant and busy Tokyo Train Station. What is especially great about this POS display is the simplicity of it, with the little umbrella highlight the brand and the brightly coloured message board being especially eye catching. The display is not overbearing though it will gain consumer attention, making it much more likely for customers to purchase this brand. During the recent rainy season, many people would be moving through the the Tokyo Train station and many more would likely be caught without an umbrella. By having this simple yet eye catching display, many customers would be drawn to these umbrellas and the Waterfront brand. How do POS Displays help gain you more visibility? 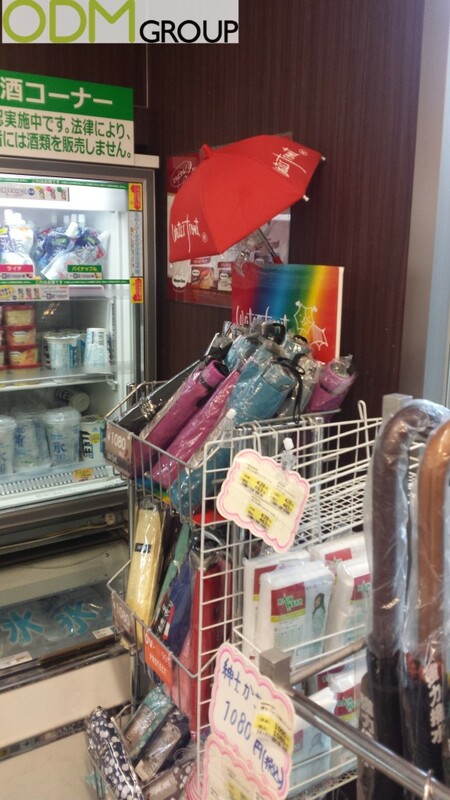 In the case of Waterfront, having the mini umbrella for the in-store display is already a really good concept. It is unique and cute, which will attract customers who enjoy to display similarly described objects. Using the wire display allows for customers to clearly identify and to easily access the umbrellas of their choosing, while also allowing for ease of movability in being able to wheel away when it is no longer Wet Season. Finally, the foam board message is simple yet colourful with the pricing displayed easy to update. As virtually everything can be customizable, there is a huge range of options when it comes to POS displays. For a POS display everything from the brand name, number of shelves, shape, colour to the material used can customized. Materials used can complete transform the look of the display, and in turn, the customers view of the product or brand itself.